eFlow Nutrition has reformulated and re-released its amino supplement Endure, which is now a full-spectrum essential amino acid formula. Previously Endure was primarily a BCAA product with 5g per serving alongside 100mg of norvaline and a gram each of arginine, glutamine, and citrulline malate. 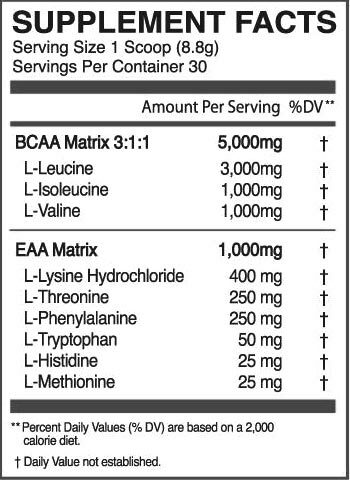 For the new version of Endure, eFlow Nutrition has held on to its original 5g dose of BCAAs, but dropped everything else. In place of those other ingredients, the brand has thrown in the six essential amino acids it was previously missing at a combined dose of a gram, giving it a total of 6g of EAAs per serving. Along with giving the product a new formula, eFlow Nutrition has also refreshed Endure’s menu with a set of new and improved flavors. The now complete EAA supplement comes in four options with Sour Gummy Bear, Star Blaze, Snow Cone, and Raging Rocket Pop, each with 30 servings per tub. eFlow Nutrition’s updated Endure is now in stock and available for purchase in all four of its flavors over at eflownutrition.com for $39.99 per tub. If you’d like to save some money, the brand does also have a buy two get one free offer on its website, which discounts Endure down to $26.66 each.